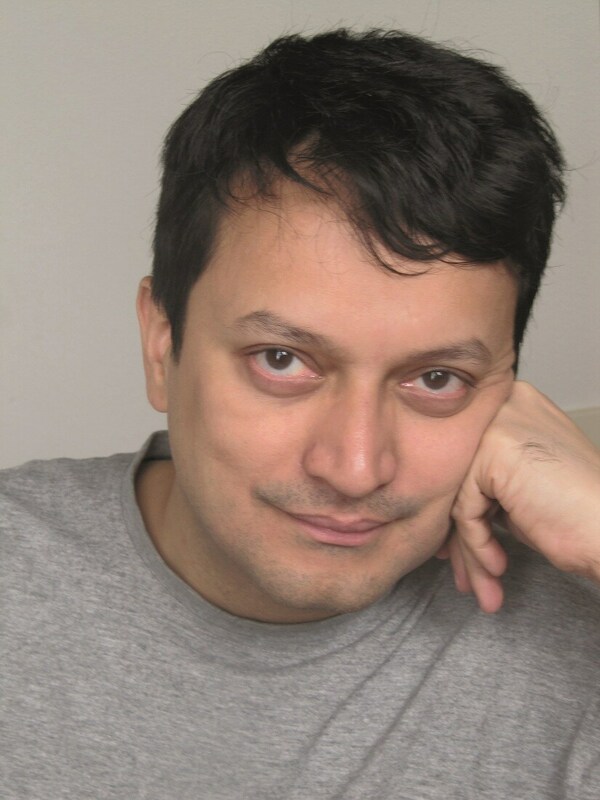 Ranjit Hoskote’s latest collection of poems Jonahwhale occurs in three significant movements. 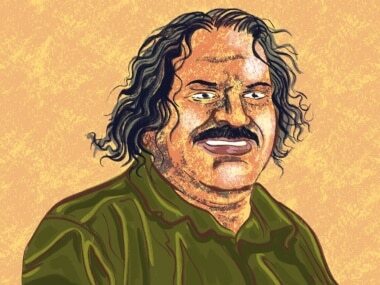 At the height of his powers, Hoskote is peerless; his poems are marked by an unshaken maturity that remains constant through a variety of languages, images and cultures. 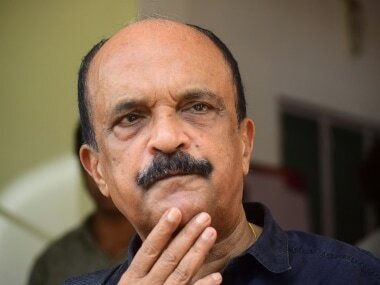 In this conversation with Firstpost, he speaks about the biblical inspirations behind his book, the relationship between his art practice and his poetry, his mother’s death, and what Indian poetry in English has to offer. Was there a particular reason behind choosing a Biblical title? The figure of Jonah has travelled with me since my childhood. As a child, my favourite piece of public sculpture at Miramar beach, in Panjim, was what then seemed to be a giant fish – with its mouth open, so that you could walk into it, tread on its innards, and emerge again. The fish still stands on Miramar, but dwarfed now by [my] growing up and the tall casuarinas that had been saplings when I was six years old. On one of our visits there, my parents told me the story of Jonah, who had been swallowed by a whale. I found him a compelling, baffling, unlikely protagonist. Gradually, I realised that he was flawed and not a heroic prophet who does everything he can to avoid the path laid down for him by God – and yet, by detours, through accident and catastrophe, he finds his way back to the path, enriched both by experience and by defiance. How vividly I recall the images of Jonah’s voyage in my pictorial Bible, and how struck I was, when I read the King James version as a teenager, by the power of the few pages that this narrative occupies in the Bible. In my mind, as a child, Jonah fused with Sinbad; as an adolescent, I met him again in Melville’s Ahab and Conrad’s Lord Jim, and thought I saw flashes of him in the explorers Thor Heyerdahl and Tim Severin, who were among the heroes of my youth. 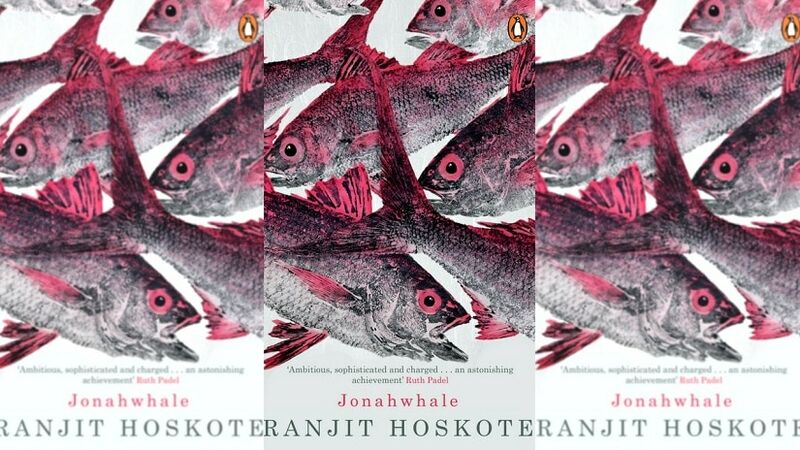 In Jonahwhale, Jonah and the whale are fused – Jonah is the survivor and escape artist, the whale is the system he’s trying to outsail yet which contains him. Neither is complete without the other – affordance and misstep, redemption and catastrophe, a seesaw of paradoxes through which we define ourselves. Your mother passed away when you were working on this book. Did that severely impact the process? What is her influence on your writing? My mother passed away on 9 January 2015, before I began to write the poems that went into Jonahwhale. For several months, I was too shattered to write any poems, although I was working on drafts and putting down fragments. I shared this sense of being in a cul de sac with my friend, the very fine poet Ruth Padel, with whom we stayed in London for a few days during the summer of 2015. It was Ruth whose practice and example pulled me out of my sense of despair and silence. I wrote the first few Jonahwhale poems in June 2015, beginning with ‘Poussin’s Landscape with a Man Killed by a Snake’, a poem that, with its staccato rhythms, was provoked into being by an encounter with this painting at the National Gallery, London. This sense of rebirth assumed many forms during the writing of the book – the renewal of form through the shattering and remaking of language, the opening-up of my Anglophone voice to some of the other languages that form my polyglot universe, Urdu, Awadhi, Konkani. My mother’s presence informs Jonahwhale through the legacies she left me – her love of Ghalib’s poetry, her multi-linguality, her love of Hindustani classical music, her storytelling repertory of versions of the epics, the Ramayana and the Mahabharata. The momentum did not flag until I’d finished the very last poem to be written, ‘Cargo and Ballast’, which I completed in Berlin, in March 2017. In thinking about my mother and what she had meant to me, I realised that she had embraced cultural expression as a rasika, in the widest and most happily eclectic way. She refused to be constrained by the academic distinctions between ‘art’ and ‘craft’, ‘classical’ and ‘folk’, ‘Eastern’ and ‘Western’, ‘sacred’ and ‘secular’, which come too quickly to the critic – for instance, if she celebrated the paintings of Jehangir Sabavala, she also loved the work of the Kalamkari textile-makers; she loved the work of the women artists of Mithila, but also the paintings of the Mughal ateliers. While I, too, responded to diverse forms of cultural expression, I had tended to engage with them in separate compartments. And I did not need to! This was a liberating realisation – it was my mother’s last gift to me. And so, in writing Jonahwhale, I gave myself the permission to recognise that my deepest creative impulses called for the dissolution of my self-marked internal boundaries – between the person who read Ghalib and James Merrill and the person who heard Siddheshwari Devi and Steve Reich; between the person who swam and was a gymnast in childhood and the person who now sits and reads Oliver Sacks at the poolside; between the boy who used to paint and the man who writes poems; between the man who worked with Vanraj Bhatia on a libretto for an opera based on Girish Karnad’s play, Agnivarsha, and the man who delights in the photography of Diane Arbus and Gary Winogrand. I experienced a loosening up, and all my diverse intellectual and affective commitments found expression in the process of working on Jonahwhale. You utilise space on the page in different ways, which is unlike most Indian poets writing in English. What is the process that goes into it, for people who may not understand the tonality, pauses and pace? Does it form a critical part of the craft of writing poetry? Words are acoustic events! And yet, they are also material traces left in print, on a page or a screen. I’ve realised that, for me, the visceral experiences of tonality, pause, pace, transition come not only from poetry, but also – vitally – from music and architecture. From my attentiveness to the exposition of a raga, or the unfolding of a symphony, the gear shift, if you will, from one movement to the next. And from my spatial orientation towards an elevation or an enfilade, my bodied awareness of how a colonnade impresses you as a formal pathway or a piazza allows for unrehearsed curiosity and surprise encounter, how a sequence of spaces draws you into an atmosphere. In Jonahwhale, I’ve drawn on my deep interest in mise en page, a sense of the possibilities that print offers us, with the page as a space to be inhabited, occupied, extended, transgressed, a scenography to be designed and mounted. Or what I’ve described, elsewhere, as print’s ability to bear testimony to the interplay between phrase and silence, pulse and void. This was a formal preoccupation with me in my earliest published work, Zones of Assault (1991), but has been somewhat latent in my poems of the early 2000s. I’ve also given voice, through the varied use of space on the page in Jonahwhale, to my long-term fascination with Surrealist techniques of collage and assemblage, the cut-ups of Gysin and Burroughs, the use of found material. In an age of digital plurality, surveillance, destinies tied together by the butterfly effect, borders that are simultaneously tighter and more porous than ever before, none of us can claim the immunity of being a sovereign individual subjectivity – we are all ‘dividuals’, each of us is many, and poetry, to me, is a way of articulating that sense of internal schism, plurality, and kaleidoscopic unpredictability. Anglophone poetry in India is only one of the several contexts that I inhabit as a poet. I draw sustenance from a genealogy that includes Ghalib and Simic, Adrienne Rich and René Char, Jorie Graham and Agha Shahid Ali, Lal Ded and Keki Daruwalla. Having said that, there certainly are some stellar Anglophone Indian poets who have used the page experimentally – AK Ramanujan, Adil Jussawalla, Arun Kolatkar, Dilip Chitre, among them. Art obviously has an immense influence on your work. We are moving towards a world of the visual entirely, in terms of the way we consume it. Where does poetry figure in the midst of all of this, and what does it offer that art may not? Art, to me, occupies and is articulated across a sensorium. Even visual art as such is not purely visual. It makes an appeal to a variety of senses, and is potentially synaesthetic. We live in a world dominated by the flat visuality of the touchscreen. But that is not the only stimulus we have. There is, still, the haptic, the palpable, the auditory, the olfactory – and the reserves of sense memory that these carry. These provocations will not vanish easily, and synaesthesia remains a glorious hope. I would say that music has been as crucial for me in Jonahwhale as the visual arts have been. Several of the longer poems in the book were conceived as librettos, to be read by several voices, such as ‘Redburn’, ‘Cargo and Ballast’ and ‘Baldachin’, as well as ‘The Swimming Pool’. In these poems, I dwell on the shift from recitative to aria, from more spoken speech to more incantatory passages, from ethnographic description to fragments of lyric. In the book, as at public forums you have been speaking about collegiality, which I'd claim is largely missing in the Indian poetry scene. But surely, there is the risk of mistaking co-option for collegiality. Criticism would die in such a space (assuming it is alive at all). What is the middle path? What can the next generation of poets change, that maybe your's could not? I cherish the etymology of the word ‘collegiality’ – it means, quite literally, at its Latin root, “to read together”. I believe that a healthy climate for the arts depends crucially on this ability to read together, to share our possibly divergent perspectives in a reasoned manner, through empathy and mutuality. Collegiality, as I describe it, is organically linked to constructive criticism. It is the opposite of co-option, which calls for uncritical conformity with some dominant ‘party line’. I won’t presume to speak for, or advise, a younger generation of poets – every generation must find its own key questions, phrase its own internal relationships, and define its sense of being a generation. My own generation came together, during the late 1980s and early 1990s, around reading circles, occasional platforms, several anthologies, and early poetry lists – and around a struggle to shape an ethos of constructive criticism. Diverse as the members of my generation were, I would say that we had certain modest strengths in common: a commitment to working self-critically at our poems, without suffering from a sense of automatic entitlement; a belief in contributing to and sustaining institutions or outcomes larger than the individual ego, whether reading circles, journals, libraries or anthologies, or simply friendships; and a hard-won apprenticeship to, and knowledge, of the tradition that had gone before us, rather than the presumptuous belief that history began with us. Indian poetry in English is a strange animal at times. As a translator, and as someone who reads in other languages as well, is there something you wish would soon change about it, its metal or structure? Anglophone poetry in India may be a strange animal, but it is also an animal that can spring happy surprises on the reader. I’m delighted, every now and again, to come upon new voices launched on intriguing projects. I’m also delighted by the risk of self-disruption and self-renewal that some established voices have undertaken. I don’t believe change can be prescriptive. It has to emerge, as it is in fact emerging, from the specific challenges that individual poets set themselves. Having said that, I do believe that polyglossia and translation are profoundly pleasurable as well as robustly useful for a poet – we become slightly different beings when we swim through different languages, and we return to our own language enriched for having seen the world from another angle of vision.